It is an open question whether countries that are already hot, such as Bahrain, will suffer more from global warming than cold, wetter countries. However, we do know that different countries and continents will all suffer from global climate change but in different ways. On 9th November 2014 a world expert on climate change, Professor Bruce Hewitson, stated that, unless the northern hemisphere has an exceptionally cold winter, 2014 will go down in history as the hottest year ever recorded. 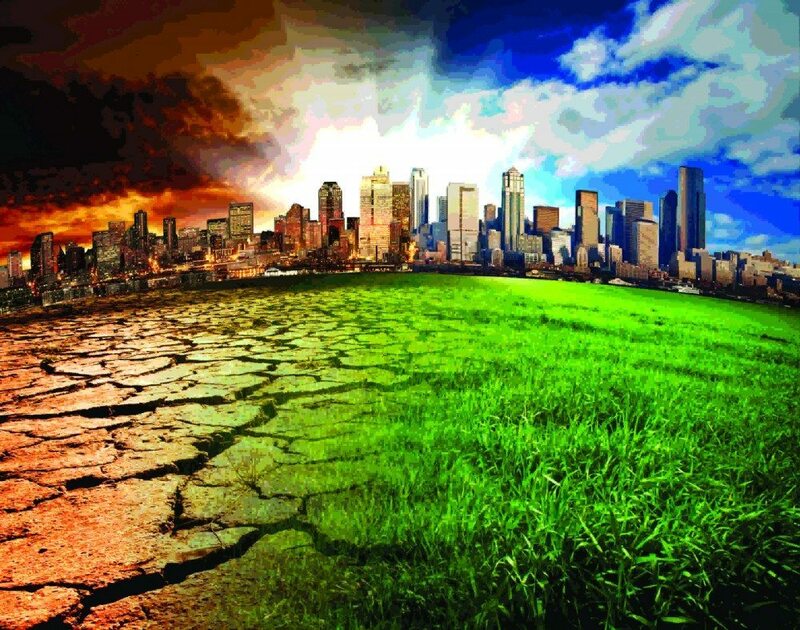 The main cause of global warming is substantially increased carbon dioxide (CO²) emissions arising from human activity which have changed the natural energy balance of the planet. According to Hewitson and the Intergovernmental Panel on Climate Change, the increase in CO² emissions has caused “discernible and strong” impacts around the world. The increase in average global temperature from pre-industrial times until today has been 1.1°C. Because of the increased levels of carbon in the atmosphere already, mainly from the burning of fossil fuels, even if the world took drastic action today to cut emissions there will still be an increase of about 1.5°C. All we can do is slow the rate of change. There are many public misunderstandings about global climate change. One is that global warming is caused by the sun getting hotter, but this is nonsense; in fact, in recent millennia, the sun has got slightly cooler. Another fallacy is that volcanoes generate more CO² than humans and their domestic stock, but this is also untrue. But it also a myth that there is nothing that we can do about global climate change, or that it would be too expensive, or that there are more urgent developmental priorities based on the selfish needs of humans. No-one is denying that slowing the rate of global climate change will be cheap or easy, but the cost and effort of doing it will be more than justified in the long term. If we tip the balance of the global climate too far no amount of money on Earth would ever be able to cover the cost of providing the ‘free’ ecological services that nature currently provides to us, such as clean air to breathe, fresh water to drink, fertile soil in which to grow our food and an hospitable climate in which to live and thrive. Global climate change has been caused by bad decisions by humans and it can (at least partly) be reversed by good decisions by humans. These decisions need to be made at all levels of society, from individual home owners to local, regional, national and international politicians and other decision makers. At an international climate change conference in Copenhagen in 2009 several governments made commitments to reduce their carbon emissions by 34% by 2020 and 42% by 2025 but, in most cases, their emissions have actually increased. Clearly, the political will is not there yet. The new ‘Energy’ exhibition in the Bahrain Science Centre has an interesting display on the typical carbon footprint of people from different levels of Bahraini society. Come and check it out and see where you fit into the scheme of things. Next articleRedbull Daredevil Jokke Summer!